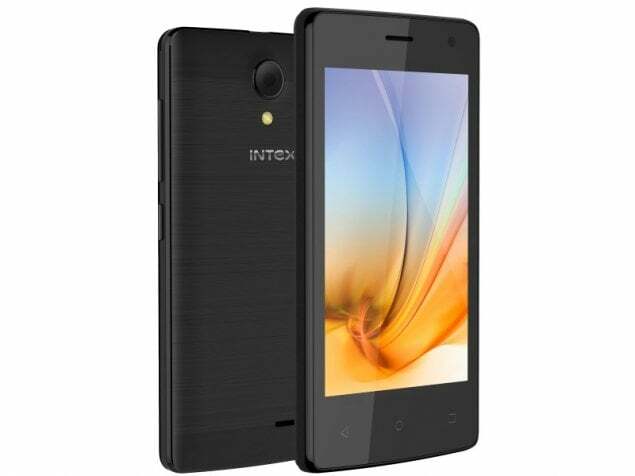 The Intex Aqua Lions N1 features a plastic body and a 4-inch display with a 480x800 pixel resolution. Touch response isn't the best and colours and viewing angles are quite weak. The phone supports two Micro-SIM cards and a dedicated microSD card slot for storage expansion. It runs on Hike Total, which is a fork of Android 7 Nougat and offers access to some Internet services without actually needing an Internet connection. This only works with Airtel SIM cards. Thanks to the tieup with Airtel, you can buy subsidised prepaid data packs using the Hike Wallet. System and app performance is quite weak and the cameras are pretty disappointing too. The 1400mAh battery won't last you an entire day of usage either, which is a bit disappointing. Battery back up hardly for 2-3 hrs. Don't buy. Intex Aqua Lions N1 smartphone was launched in December 2017. 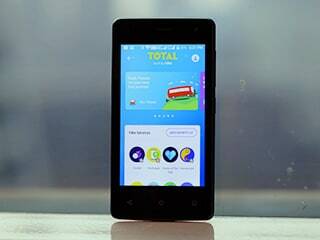 The phone comes with a 4.00-inch touchscreen display with a resolution of 480x800 pixels. Intex Aqua Lions N1 is powered by a 1.1GHz quad-core MediaTek processor. It comes with 1GB of RAM. The Intex Aqua Lions N1 runs Android 7.0 and is powered by a 1,400mAh removable battery. As far as the cameras are concerned, the Intex Aqua Lions N1 on the rear packs 2-megapixel camera. It sports a 0.3-megapixel camera on the front for selfies. The Intex Aqua Lions N1 runs Hike Total based on Android 7.0 and packs 8GB of inbuilt storage that can be expanded via microSD card (up to 128GB). The Intex Aqua Lions N1 is a dual-SIM (GSM and GSM) smartphone that accepts Micro-SIM and Micro-SIM cards. Connectivity options on the Intex Aqua Lions N1 include Wi-Fi 802.11 b/g/n, GPS, Bluetooth v4.00, FM radio, 3G, and 4G (with support for Band 40 used by some LTE networks in India). Sensors on the phone include accelerometer and proximity sensor. The Intex Aqua Lions N1 measures 124.90 x 64.30 x 10.20mm (height x width x thickness) and weighs 112.00 grams. It was launched in Black colour. 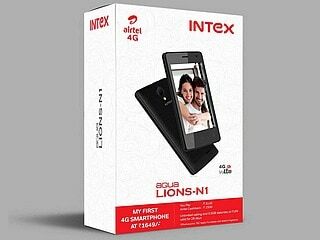 As of 23rd April 2019, Intex Aqua Lions N1 price in India starts at Rs. 2,998.